Undo Send has long been an "experimental" feature of Gmail that is now official. How many times have you send an email and instantly regretted it? Be it a job application with a glaring typo, an angry heat-of-the-moment rant to a friend of family member, or accidentally CC-ing grandma on those naked pic you sent your S.O. The "undo send" feature has long been a part of the Google Labs suite of "experimental" features, but today Google has finally made it an official Gmail feature. Undo Send' allows people using Gmail to cancel a sent mail if they have second thoughts immediately after sending. 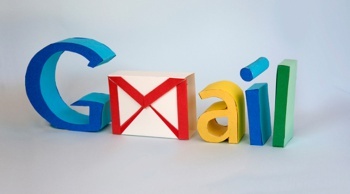 The feature is turned off by default for those not currently using the Labs version, and can be enabled from the General tab in Gmail settings. So how "immediate" is immediately? Well, we are talking seconds here, with the maximum "grace period" being capped at 20 seconds. Still, that's often more than enough for those "instant regret" emails that we are all guilty of sending, and it's nice to have that little window of safety in case things go wrong. People currently using the experimantal Labs version of 'Undo Send' will have the setting turned on by default at launch.